Imagine a place where sunshine is ubiquitous, a high-quality lifestyle won’t cost the earth, and as a retiree, you’re treated like a VIP…you’ll get a red-carpet welcome and be rewarded for your age and experience. Places like this exist…and International Living has ranked the best of them in the Benefits and Discounts category of its just-released 2019 Annual Global Retirement Index, where the top three countries by this measure are Panama, Mexico, and Ecuador. In third place, with 91 points out of 100, is Ecuador, the Land of Eternal Spring. Ecuador constantly ranks at or near the top of retirement destinations abroad, and the benefits that retirees can enjoy there has a lot to do with that. “Seniors are respected here and get benefits like special lines in stores that allow you to go to the front of the queue,” says Donna Stiteler, IL Cuenca Correspondent. The country itself offers a lower cost of living overall but retirees can take advantage of further discounts—like, paying the modest property tax in a lump sum, early, which provides a discount. “Third Agers”—as those 65 and older are called in Ecuador—can also get a 50% discount on electricity and water bills for property they own, as well as discounts on property taxes. Ecuador has a value-added tax, or IVA, that is added to the price of most purchased items. By registering with the SRI, the Ecuadorian income tax department, Third Agers and retirees can have much of that tax refunded each month by submitting receipts. Refunds are automatically deposited in the local bank account of those claiming refunds. Mexico takes second place in this category with 97 points. Mexico offers many of the First World conveniences expats are used to, including good highways, plenty of airports, reliable telephone service, and fast internet connections. “Retirees from the U.S. can take advantage of several benefits, which begin during the simple and fast visa-application process,” says IL Riviera Maya Correspondent, Don Murray. Wherever you are in Mexico, it’s always worth asking if you get a discount with your INAPAM card…and just let the savings add up. 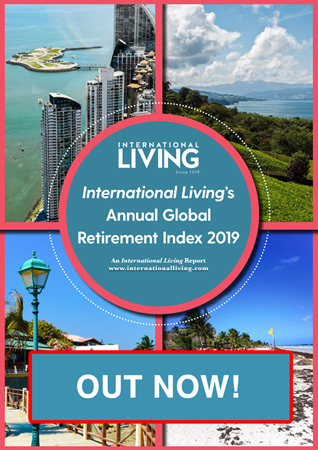 Panama takes the number one spot in International Living’s 2019 Annual Global Retirement Index. And, it claims top ranking in the Benefits and Discounts category, scoring 100 points out of 100. What makes Panama superior from the expat retiree’s point of view is its Pensionado program. “Year after year, Panama takes the number one spot in International Living’s Annual Global Retirement Index Benefits and Discount category and the Visa and Residence category. When I first started writing about my life in Panama, about 12 years ago, much was being made about Panama’s Pensionado program,” says Jessica Ramesch, IL Panama Editor. “And there were some good reasons for that. It offers foreign pensioners an easy ‘in’ to becoming legal residents of Panama. “To apply as a foreigner, you simply have to show proof of a verifiable pension—corporate or government—of at least $1,000 a month. If you’re applying with a spouse, you need only prove that you receive a combined total income of at least $1,250 a month—that’s what the Panamanian government deems sufficient for you to live a good life here. “In Panama all legal residents—be they foreign or local—are deemed pensionados at age 55 for women and 60 for men. Pensionados in Panama are treated not as old fogies, but rather with respect and courtesy. Plus, the discounts are top-notch, like: 25% discount on meals, and when it comes entertainment, movies, concerts, sporting events, and more, it’s a full 50% off.